Spring 2018 shipping season over....will advise Fall shipping updates later...thanks..rp. Spring 2018 sales open now thru April 23rd - Dry root-Preseason shipping only for 2018. 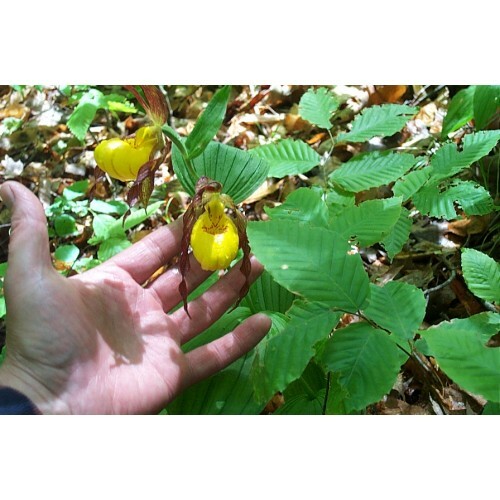 Native Lady Slipper lants for sale. The Large Yellow slipper orchid. Mid-season summer lady slipper ochid orders ship out as live potted plants. 3" x 3" pots. Multi-stemmed Cypripediums. 05 series are 5 years out of test tube, Blooming age ldy slipper stock. 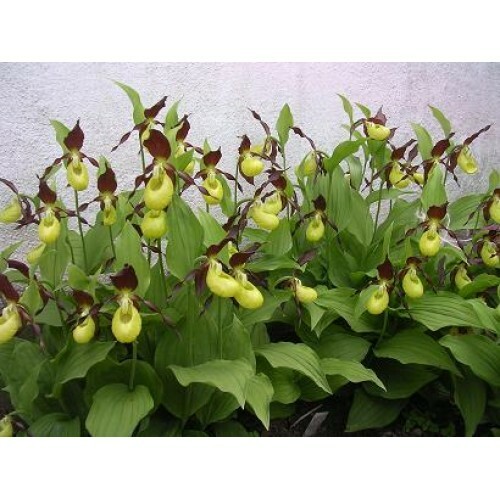 Cypripediums are long lived perennials. Hardy to zone 2. Out starting 23rd April-2018. US Mail – 2-3 Day Service. dormat rootstock only for 2018. Flat rate shipping- one charge any size order. $ 12.95 mix and match part numbers your choice.